The Big Game is gone, but Indianapolis' commitment to remain a "super city" moves into a new phase...taking the promise civic leaders made to the NFL to re-make an underserved neighborhood and using it as a springboard to keep transforming the city. In the first half-hour, host Derwin Smiley explores the problems still facing many of Indianapolis' neighborhoods. 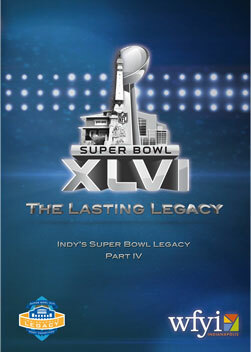 In the second half-hour, experts and residents alike convene in the WFYI Studios for a special Indy Talks to discuss lessons learned and dreams awakened by the success of the Super Bowl Legacy Project.